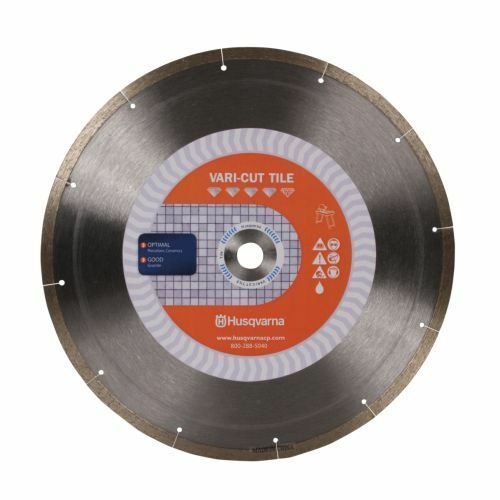 A Vari-Cut Tile blade is used for chip-free cutting of porcelain tile, granite, quarry tile and dense floor tile with a thin rim for precise, fast cuts. The total rim height is .275". 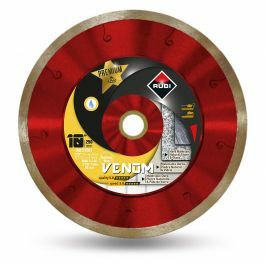 Size: 10" (254mm) x .070" x 5/8"
Available Sizes: 4" - 10"
Wet Cutting Only. Continuous Rim.